Size chart 100% polyester wicking smooth knit * 100% polyester wicking Duo Knit inserts *Odor resist.. Size chart 100% polyester moisture management/antimicrobial performance fabric. 4" Inseam. Double-ne.. 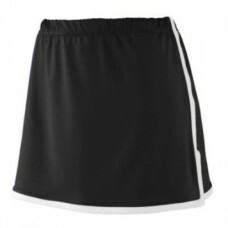 Size chart Lightweight 90% polyester/10% spandex knit skirt. Heavyweight 90% polyester/10.. Size chart 100% polyester wicking mesh. Wicks moisture away from the body. Girls fit.. Size chart Style # 3200 Adult: S-M-L-XL-2XL Style # 3100 Youth: XS-S-M-L Ideal for Cheer, Dance, Ten..